i guys! 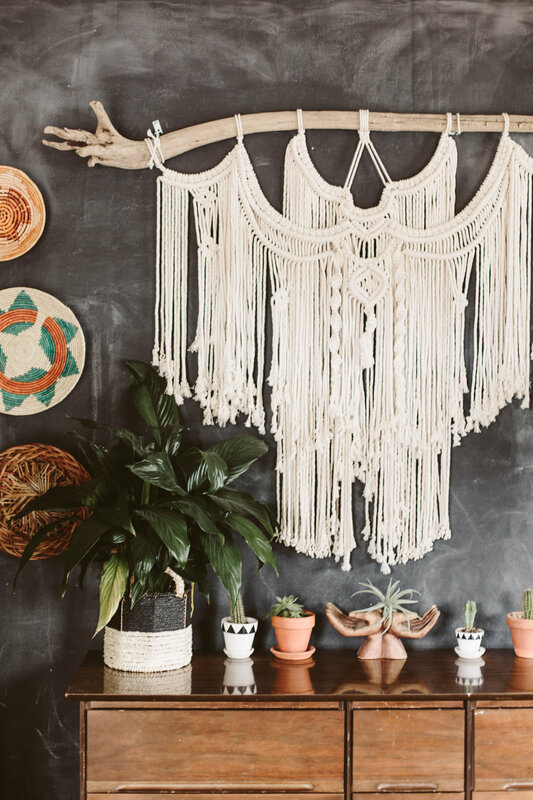 I'm super excited to share my first guest contributor today! 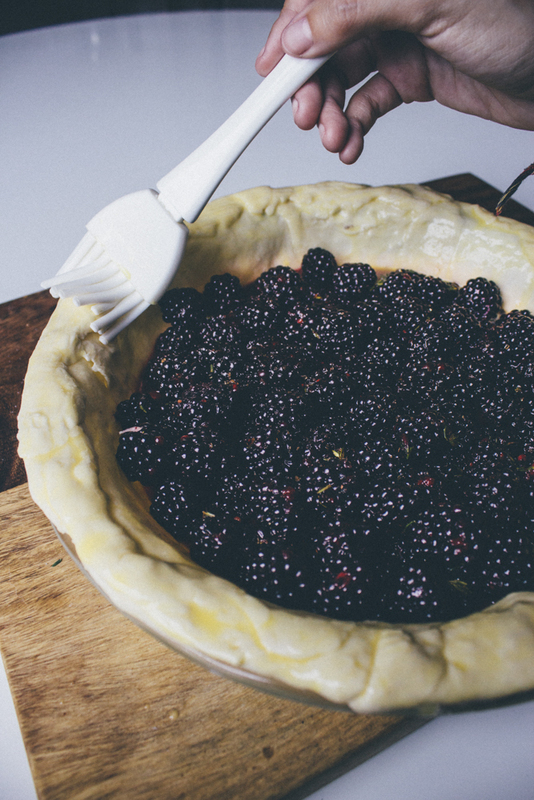 Muriel from Pies + Travel is here to share a delicious pie recipe which includes beer! Beer and pie? I'm in. I just turned the heat on in the house for the first time since last spring and a warm pie sounds like the perfect way to commemorate the beginning of fall. Take it away, Muriel! I’m Muriel and I blog over at Pies + Travel. Last winter, I challenged myself to bake 50 pies in a year. Why? Because I wanted to learn the ins and outs of pie baking. 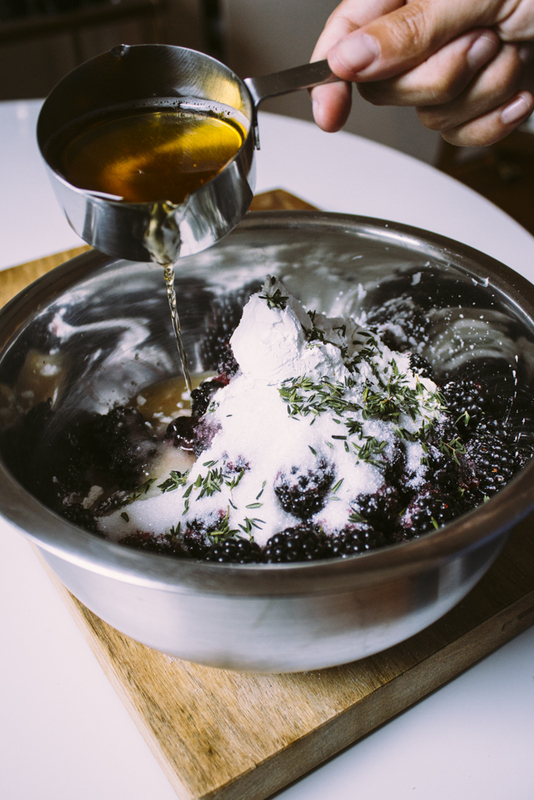 Pie baking is all about chemistry, the ingredients need to be a certain temperature otherwise it turns into a giant mess! As the summer slips away and Atlanta gets a bit colder (yay! ), I wanted to finish off my summer pies with a bang. 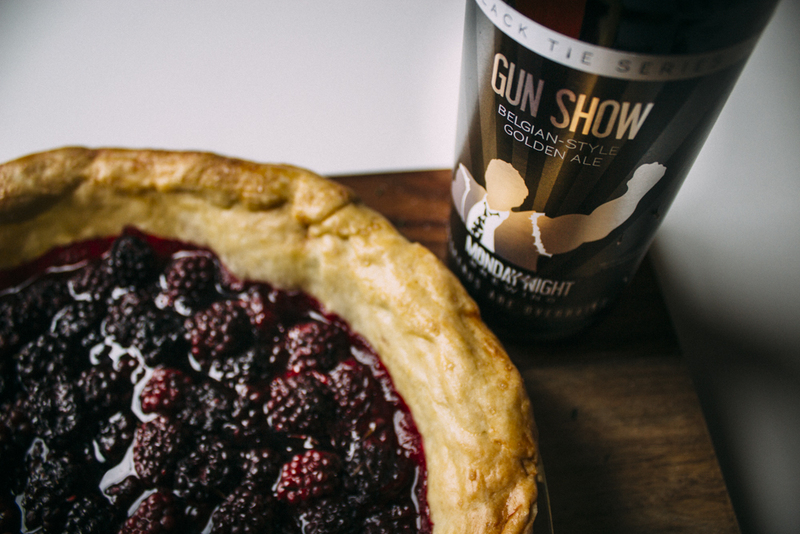 We had this Belgian Ale Beer in the fridge and it served as the perfect inspiration for this pie. I used Monday Night Brewing’s Gunshow for my beer, a local brewery, but you can use any IPA or Belgian ale of your choice. 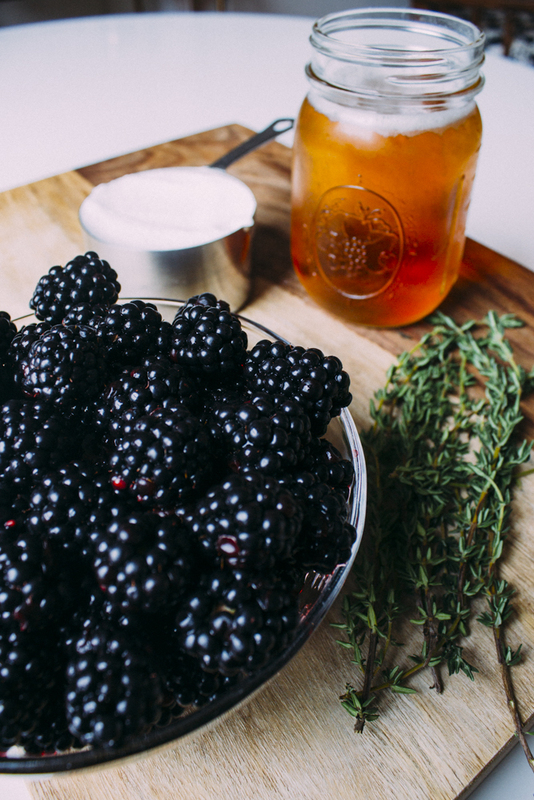 For the blackberries, make sure to taste them before starting. Sometimes they may need a day or two to sweeten up a bit. I personally love tart pies. If you have the opportunity to go pick your own, do so! It’s one of my favorite things to do. 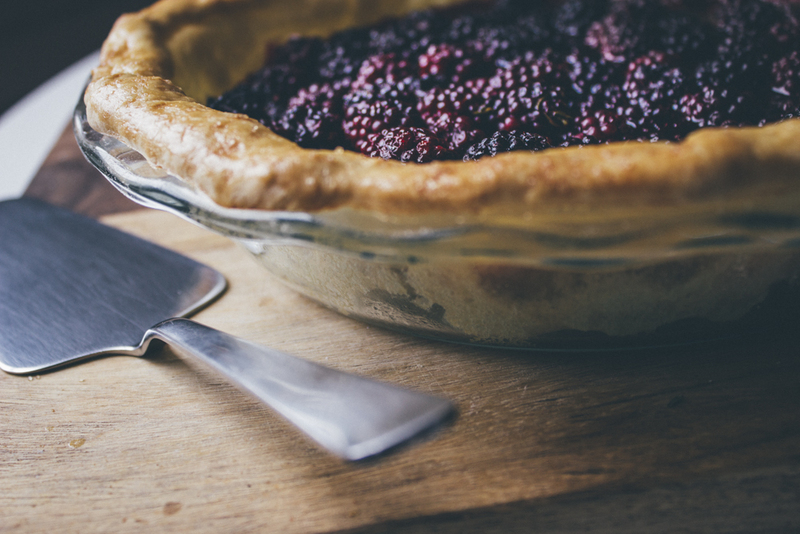 The fresh thyme in this pie makes the whole kitchen smell so good! So let’s get started. Note: For the all butter crust, I suggest doing it the night before your actual pie making. I like letting sit in the fridge overnight so it settles and rolls out easier. Just make sure it spends at least an hour in the fridge before you roll it out. size pieces of butter remain (a few larger pieces are okay; be careful not to overblend). 1. Preheat the oven to 375 degrees Fahrenheit. 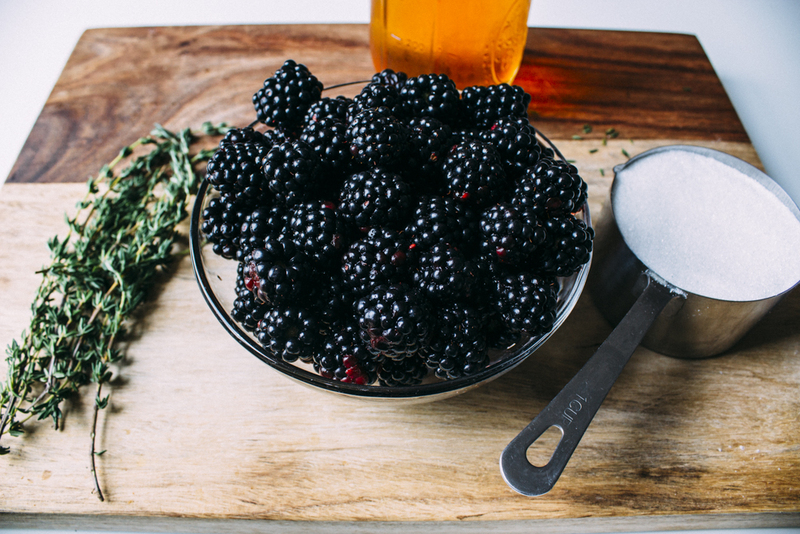 In a large bowl, add the blackberries, cornstarch, thyme, sugar and beer; stir carefully until combined. Let sit for about 20 minutes. 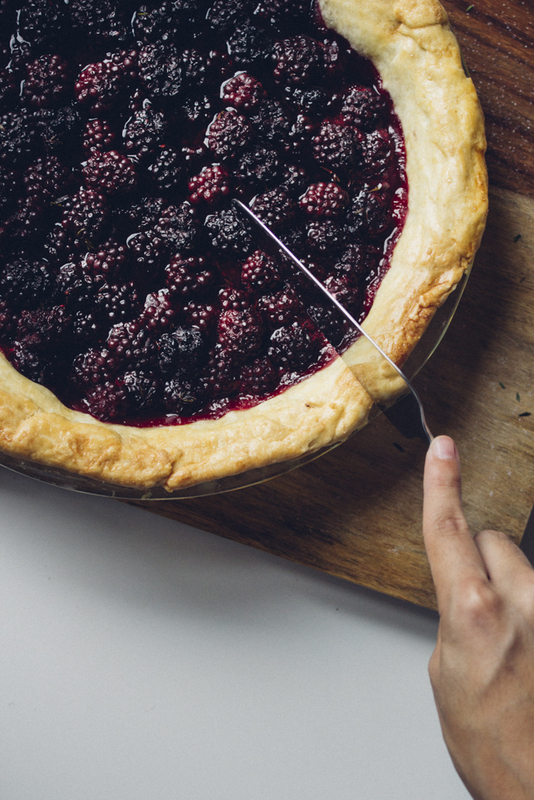 If you don’t like tart pies, I would suggest adding 1⁄4 cup to the mix. 2. 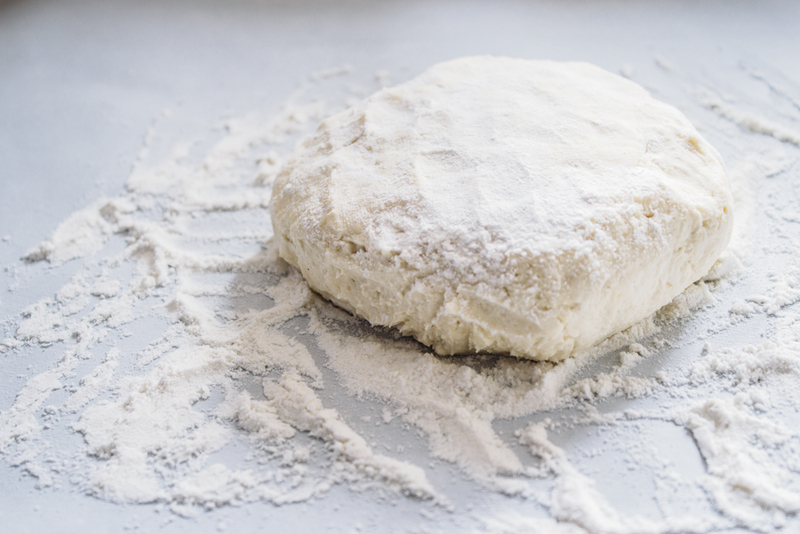 Roll out the crust on a floured surface with a cold rolling pin (place it in the freezer for about 5 minutes). Place the crust in the pie pan and poke a few holes on the bottom with a fork. 4. Pour the fruit mix into the pie crust and brush the crust with the egg wash mixture. Sprinkle the turbinado sugar all over the pie. 5. 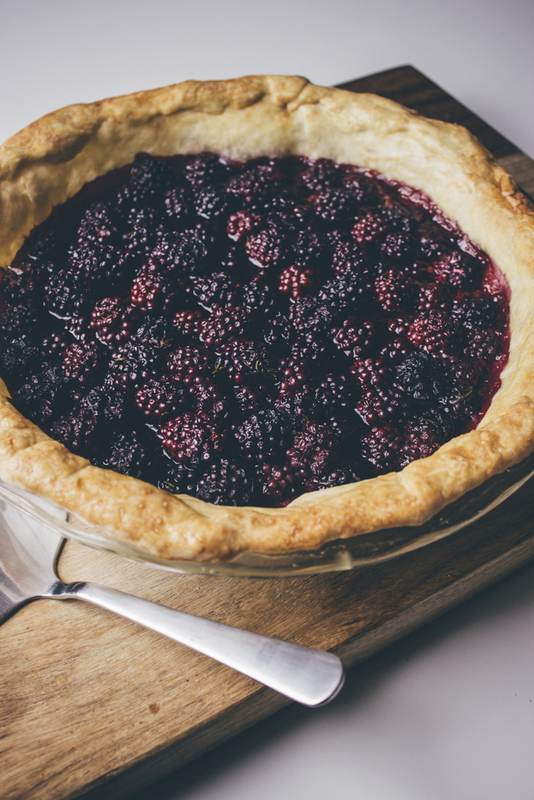 Place the pie on a baking sheet and place it on the middle oven rack. Cook for 60 minutes or until the crust starts to brown and the filling is bubbling. 6. Let the pie cool before serving, about an hour. Serve it with ice cream (vanilla is my favorite!) or homemade whipped cream.